Before 54-year-old Mario passed away, he had one special goodbye he needed to say … to his favorite giraffe. Mario had worked as a maintenance man at the Rotterdam zoo in the Netherlands for over 25 years. 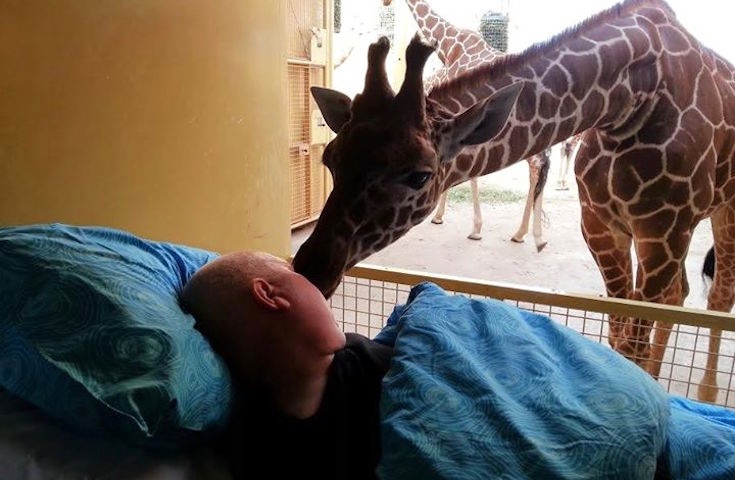 After his shifts, he loved to visit and help care for the animals, including the giraffes. 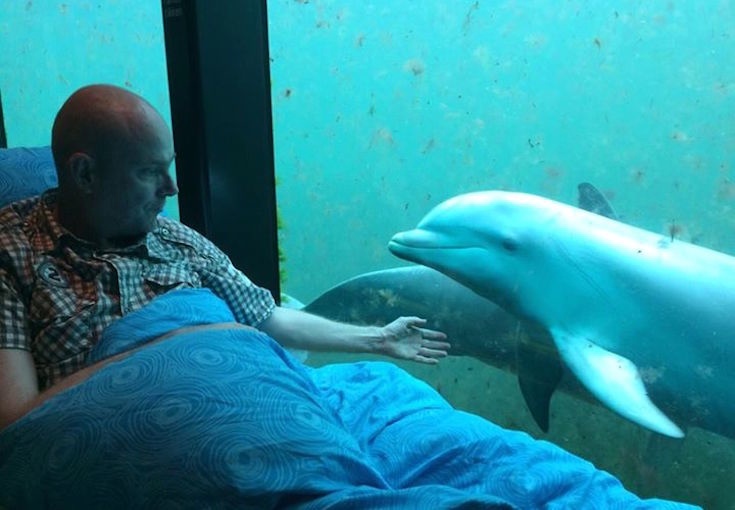 As Mario’s fight against terminal brain cancer came to an end, all he wanted to do was visit the zoo one last time. He wanted to say goodbye to his colleagues — and maybe share a final moment with some of his furry friends. Thanks to one incredible organization, Mario got his wish. “To say goodbye to the animals.” All photos by the Ambulance Wish Foundation, used with permission. 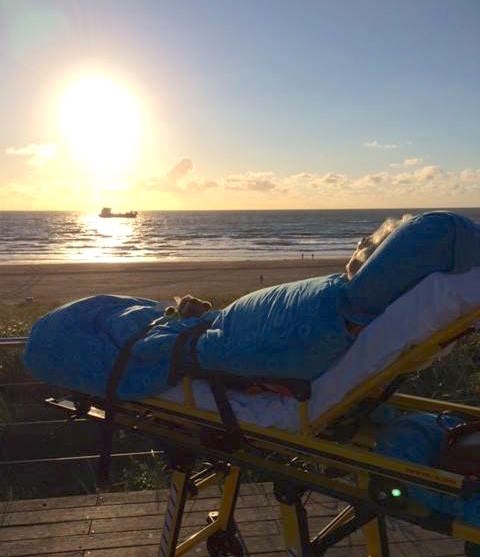 The Ambulance Wish Foundation, a Dutch nonprofit, helps people like Mario experience one final request. It’s a lot like Make-A-Wish, only it’s not just for kids. 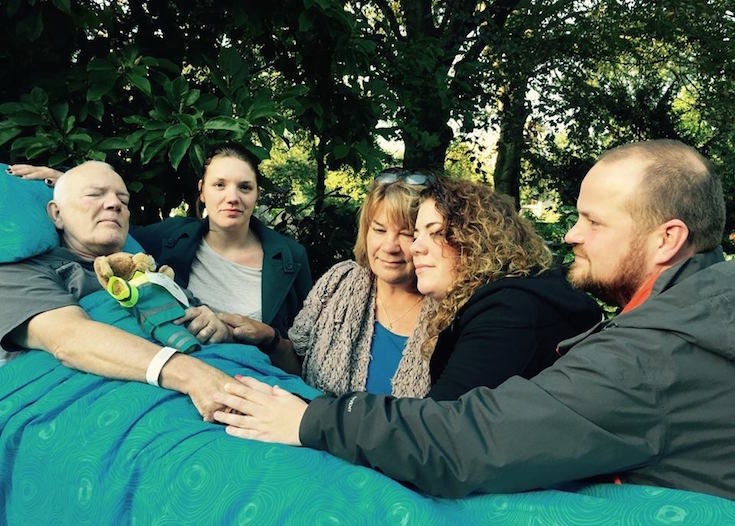 Veldboer made the patient’s last wish happen, and as tears of joy streamed down the man’s face, Veldboer knew he had tapped into a powerful way to bring peace to people in their final days. Soon after, the Ambulance Wish Foundation was born. 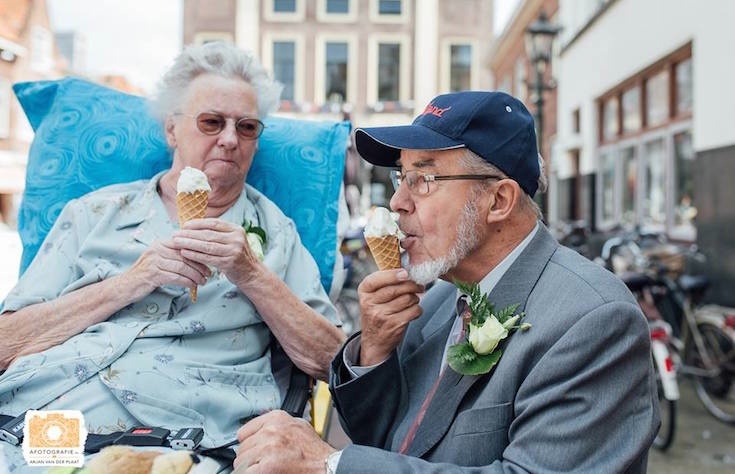 Based in the Netherlands, Veldboer’s organization scoffs at the logistical hurdles of transporting terminally ill patients who need high levels of care and, often, lots of medical equipment. The Ambulance Wish Foundation employs a fleet of custom-built ambulances and always has highly trained medical staff on hand for emergencies. Their message? Positive end-of-life experiences are far too important to pass up. Today, the AWF has over 230 volunteers and has fulfilled nearly 7,000 wishes. Even more beautiful than the work this organization does, though, are the things its patients are asking for. The Make-A-Wish Foundation specializes in granting wishes for terminally ill children, many of whom have barely begun to live. The children’s wishes run the gamut, from starring in a music video to a day as a hero soldier in the Army. But what does Veldboer do for older folks who have already experienced so much? What do their wishes look like? Mostly, it’s the little things they cherish, like seeing their home one last time or spending a few hours just looking at something beautiful. Veldboer, in an interview with the BBC, describes one woman who had not been home for six months. 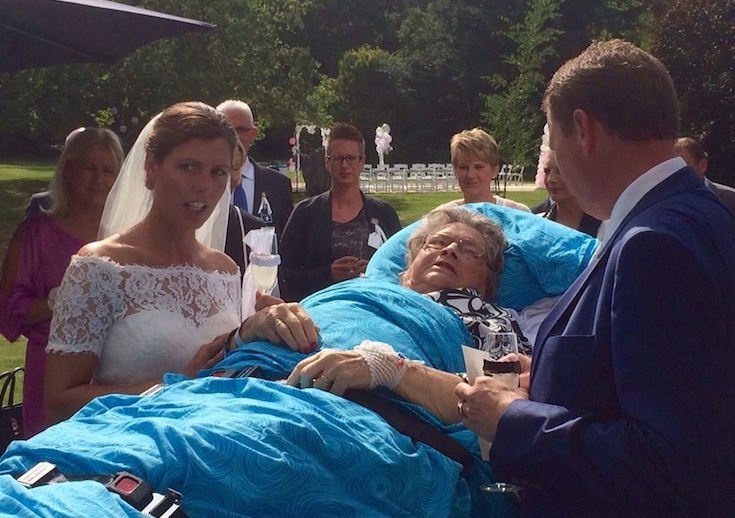 When they brought her into her living room on a stretcher, she hoisted herself up and stayed there for hours, doing nothing but looking around — likely replaying an entire lifetime worth of memories — before quietly asking them to take her away. 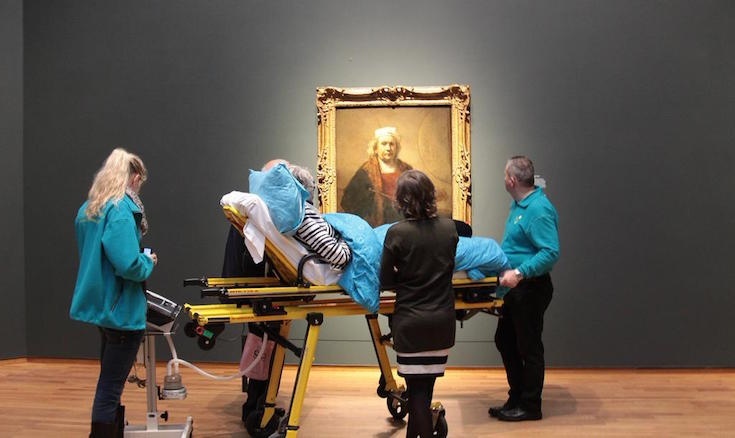 Another patient simply wanted to see her favorite Rembrandt painting again. And another just wanted to spend an afternoon watching dolphins play. On and on the wishes go — about four of them fulfilled every day. People who just want to see their grandchild for the first time, or stand on the beach again before they can’t anymore. Turns out that life’s simplest pleasures just might be its most meaningful. Sometimes it feels like there’s never enough time. Not in a day. Not in a year. Not in a life. But maybe it’s better to cherish what we have rather than spend so much time thinking about all the things we haven’t done yet. Maybe the things we remember at the end aren’t the time we went skydiving or the time we hiked across Europe. When our time is up, maybe what we’ll remember most is more mundane — the tacky wallpaper in the house we grew up in, a sunny day spent on the water, or those little everyday moments spent with the people we love the most. Whatever it is, it’s comforting to know there are people out there who want our last memories of this place to be good ones. I can’t think of a more wonderful job. Words and images from Upworthy.